Passware Kit now decrypts Mac FileVault2 disks in two ways: instant decryption with memory analysis, and hardware-accelerated password recovery for the original FileVault password, if memory access is not available. The password recovery for FileVault2 disks supports both GPU acceleration and distributed computing for maximum performance. 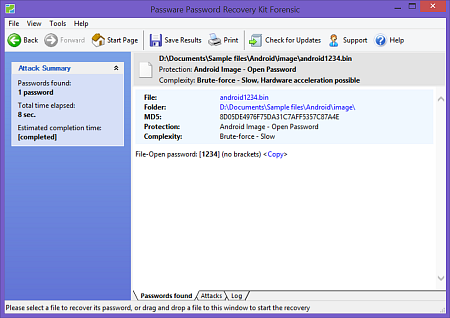 Passware Kit continues and improves integration with Oxygen Forensic Suite for mobile investigations and pioneers in recovering passwords for Android physical images. 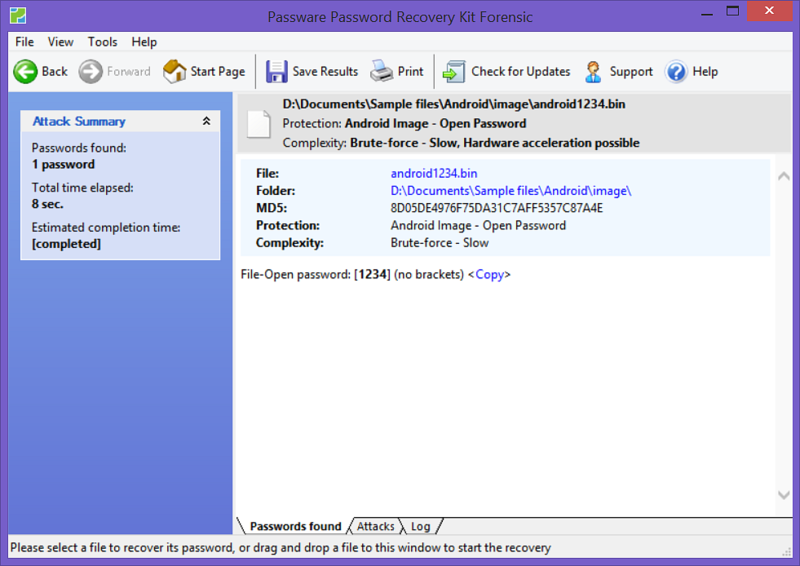 Password recovery for Android images can be accelerated with NVIDIA and AMD graphic cards, as well as distributed computing, and reaches over 25,000 passwords per second with a single GPU. 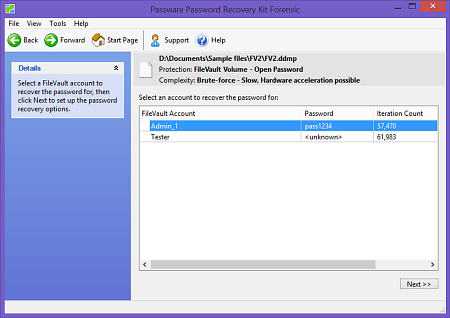 Passware Kit 13.1 features an engine optimization that makes passwords recovery on GPU cards for most types of files on average twice as fast as before! 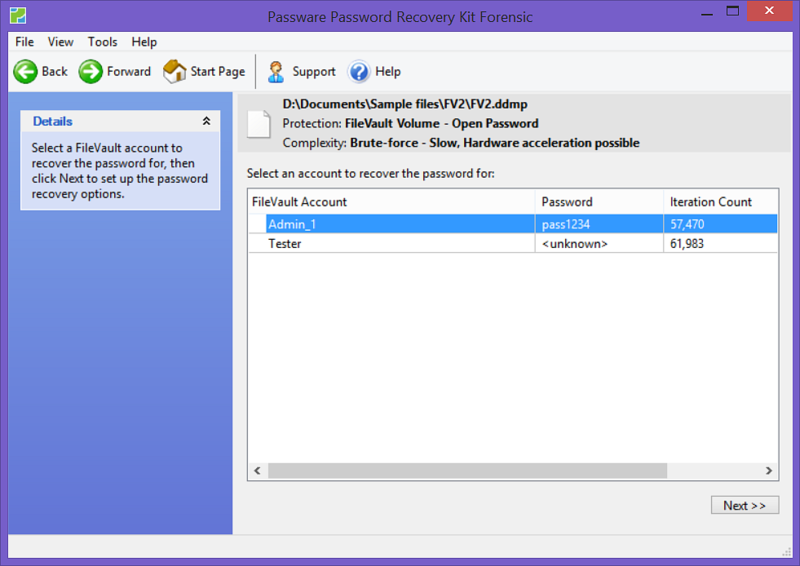 For TrueCrypt WDE the recovery speed is 3 times faster and now reaches 48,500 passwords per second, compared to 13,500 passwords per second with Passware Kit 13.0 on the same hardware. Performance has also been increased by 1.5 times for RAR archives, and 1.8 times for MS Office 2007 files. See the new performance rates. 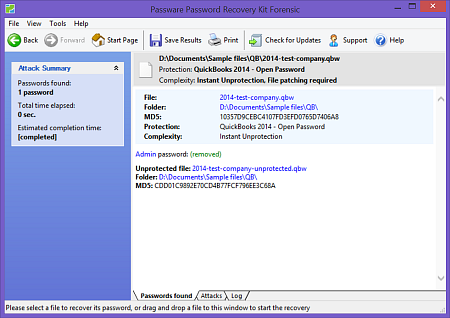 NOTE: This optimization is available in all editions of Passware Kit! 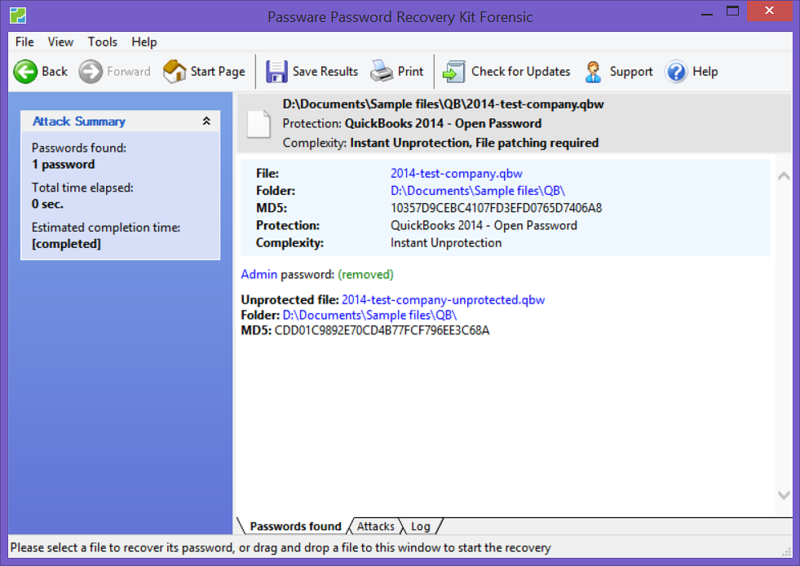 Passware Kit 13.1 instantly decrypts databases from QuickBooks v.2014 and recovers passwords for Quicken v.2014 files. NOTE: This feature is available starting from Professional edition.